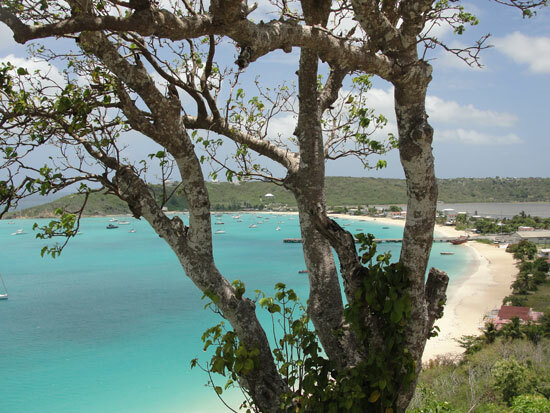 My good friend Kristin Bourne (who lives in Anguilla), takes us on a virtual tour of the beach that truly captures the essence of Anguilla... Sandy Ground. 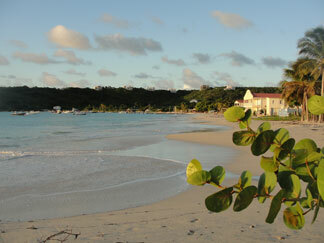 Sandy Ground is one of my favorite Anguilla beaches. 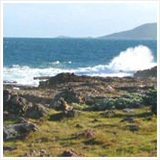 The strip of land here between the salt pond and bay is called Sandy Ground. "Sandy Ground" is used more often than the name of the bay on which it sits - Road Bay. 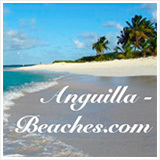 But why is it one of my favorite Anguilla beaches? It is calm and surrounded by the beautiful north and south hills (aka the villages of North Hill and South Hill). It is historical. It is eclectic, beautiful, friendly, and unique. My Mom will tell you that she doesn't like to be in the water near the boats as it's not as relaxing to her. 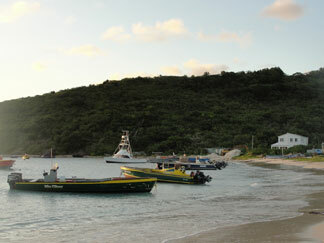 I've heard few others agree... Sandy Ground is the busiest beach on the island for boat traffic. The container ships come and go to the south end of the bay. Local boats and charters come and go from the wharf closer to the middle of the bay. The fishermen and their smaller boats seem to stick to the north end of the bay. These boats coming and going, bobbing out in the sea on their moorings is a beautiful sight. 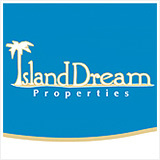 Not to mention the clear-blue, calm waters and hillsides framing the spacious sky! I don't mind having to keep an eye out for anchors and mooring lines when I take a dip - it's all a part of Sandy Ground! 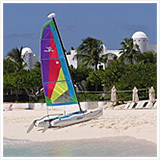 Sandy Ground is an easy beach for entertaining all ages and abilities. The water is almost always calm, more like a "baby pool" and the beach isn't as sloped as some can be. 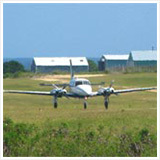 If you are visiting with someone who may have some difficulty manuervering, Sandy Ground is ideal. My 86-year old grandmother found Sandy Ground to be the easiest and calmest beach to get in and out of. You can park close to the water, avoiding a long walk, and easily slip right in to the sea. There is some seating around too and even public restrooms! Sandy Ground Anguilla beach is versatile. Some days it can be quiet and still as the night during the middle of the day. Other days, you could find music pumping, a boat race, or even tents set up with BBQ for an event. 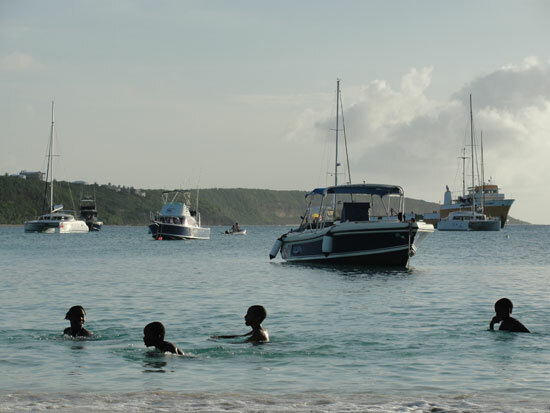 The biggest event on Sandy Ground each year is Anguilla's Carnival, where thousands of people and hundreds of boats congregate at Sandy Ground. I should add that there is an end of Sandy Ground deemed the "quiet" end and that is the south end. Why? In the evenings the northern end of Sandy Ground comes to life with the nightlife scene's at Elvis', Johnno's and sometimes Dad's. You'll see that most of the restaurants sit far enough away that the music isn't obtrusive. Plus the music doesn't really start-up until most are through having their dinner! 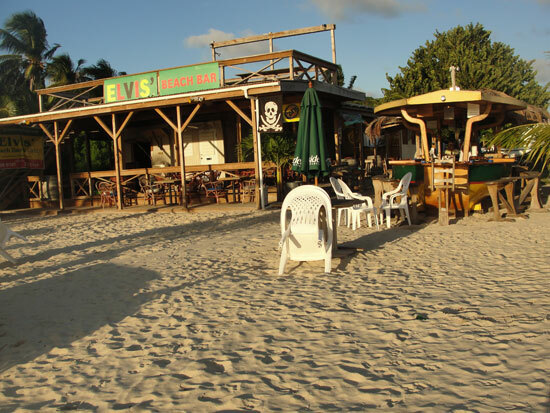 Elvis' Beach Bar: I started out at one of Anguilla's best beach bars, Elvis' Beach Bar. Elvis' is a boat that was made in to a bar and is literally sitting on the sand. There is a deck area with additional seating, ceiling fans galore, and cover from the sun or rain. Above that is a nice roof deck area that provides a nice perch for taking in the Sandy Ground view. Elvis opens up late morning (close to noon) and is an excellent happy hour spot. Of course, they serve rum punches and all sorts of beers and cocktails. Their notorious Mamawanna rum always draws some attention if someone decides to sample it! The fun usually doesn't stop when happy hour ends though. Who wants to leave Elvis'? Elvis himself is as sweet as he can be! Elvis' is a great late night / night-out hang out for both locals and tourists, even Paris Hilton! Elvis keeps the picture of he and Paris up at the bar. If I walk toward the sea from Elvis' and go left, this is where everything else on Sandy Ground is. Some houses are all that you would find if you went to the right down the beach from Elvis'. 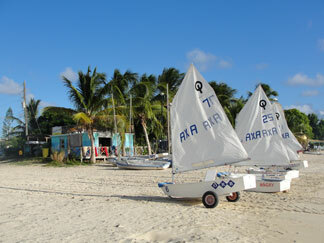 Walking to the left, the next main building I come to is the Anguilla Sailing Association and Anguilla Youth Sailing School Club House. Next to the Sailing School? Dad's Bar & Grill, which is owned and operated by the always welcoming Delbert ("Dad") and Alex. What can you find at Dad's? Delicious drinks and BBQ at very affordable prices ($3 for a Heineken) with nights of live music and dancing on the sand, under the stars. Dad and Alex keep a warm, laidback feel alive with plenty of good vibes and dazzling sunsets! Next? Johnno's! Johnno's sits right next to Dad's as I walk south. 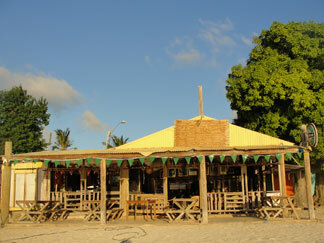 It is a central Sandy Ground restaurant and bar. They serve standard lunch fare of burgers, ribs, fish, and plenty of cocktails and beers. Tip: Be prepared to wait on a Sunday when Johnno's has live jazz. The wait for service and food is slower on this day. If you are prepared to relax, Sunday at Johnno's is a good time with smooth jazz sounds in the shade. On the other side of Johnno's is a parking lot. An easy spot for access to the beach. Amazingly so, there is a public restroom on the beach past the parking lot. How convenient and this isn't something most beaches have! 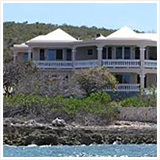 SandBar, Sandy Ground Tapas: The next business you will approach is the SandBar Anguilla Restaurant. 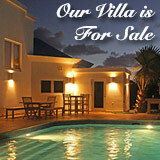 It is one of my faves in Anguilla. They serve a tapas menu of delicious plates for dinner. Just writing this page, I start craving SandBar fries! Granted the menu goes well beyond fries, but SandBar does have some special fries. Another thing that SandBar is known for is their creative and well-made cocktails. Dolce Vita opened up in February of 2011 and has been gaining loyal diners since. It offers fresh made pastas, salad, and entrees including seafood. The interior of the restaurant is red and the bar has a pink glow to it. Sunset from here is also good, as is the duck sauce over fresh-made pasta! Last but not least, Roy's Bayside Grill: Finally we reach the last establishment on the southern end of Sandy Ground - Roy's. 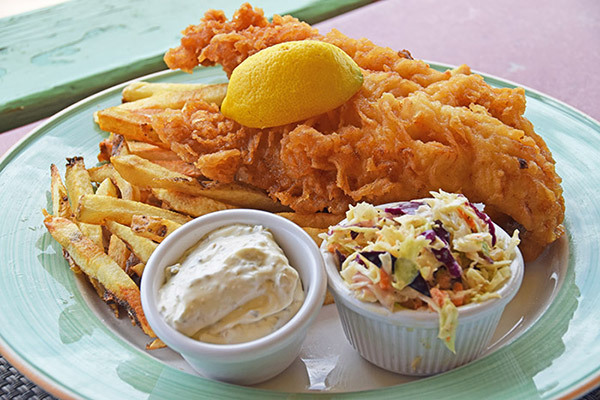 Roy's to date serves up my favorite fish n' chips on the island, but I haven't had fish n' chips from everywhere yet! ;-) I find his to be consistently just right and they have plenty of favorable accompaniments to go with it. Having only been here for lunch, the view is incredible. The blue glow from the sea at Sandy Ground seen from the shade sitting in Roy's is quite a reminder of how good life is, as you sit there and eat a hearty lunch. That concludes the walk but I'll share a few more pictures so you can get the idea of all that goes on down at Sandy Ground. 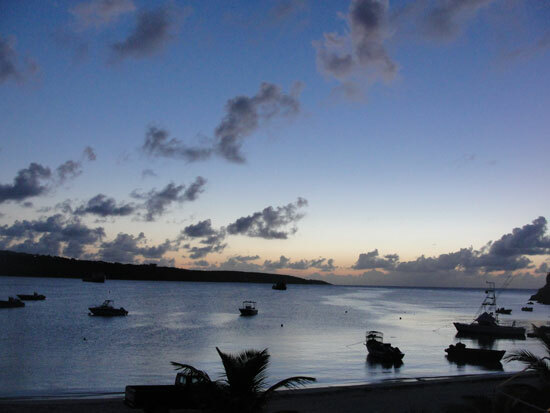 My favorite Anguilla sunset. The silhouettes of the boats slightly rocking in the water with the sun going down can't be beat!! 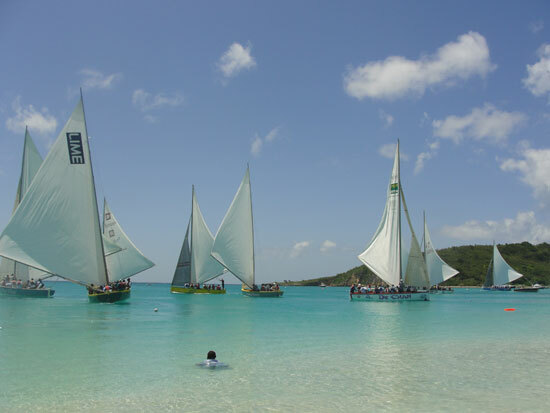 Most often the scene of a boat race start and finish - the historical Anguilla sporting event is kept alive on the same ground (and sea) as it was years and years ago. Children playing and jumping off the wharf always makes me smile. What a special place! 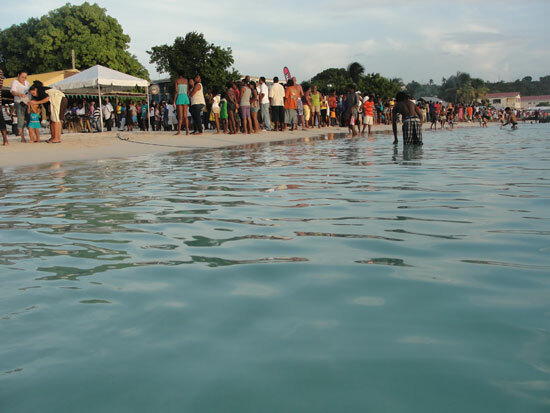 The energy around Carnival time and the beach loaded down with people is incomparable. 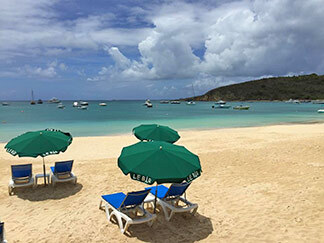 Combine all of that with the aromas from the restaurants and grills that line Sandy Ground... this is Anguilla to me. Sandy Ground encompasses so many things that make Anguilla unique. 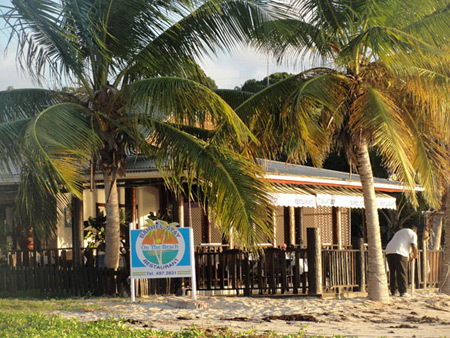 The Pumphouse: A must when visiting Anguilla! Reggae Reef: Today this is Dolce Vita. 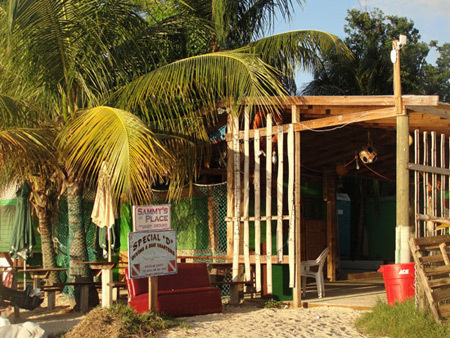 You can read about the old favorite, Reggae Reef Sandy Ground Anguilla restaurant here. Sammy's: Sammy's is extremely casual and is unsung. I say that because, I find his food incredible but you don't hear many tourists talking about it. He serves drinks too, by the way. It's referred to as everything from Sammy's Place to Sammy's BBQ to just plain ole Sammy's. He doesn't advertise. It's one of those places you will stumble upon and feel lucky that you did. He tends to cook different items each day of the week. For example, I know that Sunday is ribs, and his are my favorite ribs on the island. 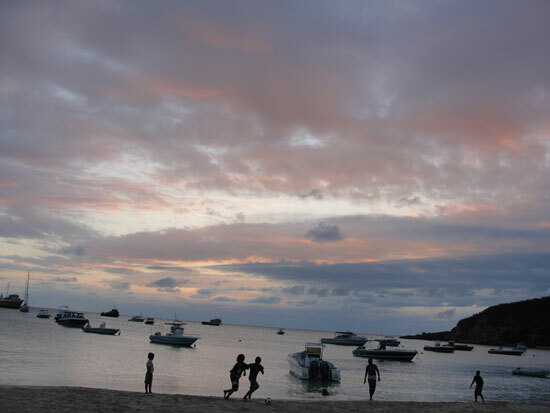 A Sunday afternoon with Sammy's ribs and garlic bread on the Sandy Ground Anguilla beach and breath-taking sunset... Who could ask for more? On a Saturday, I've eaten a perfectly cooked, perfectly seasoned Wahoo steak for well under $10US. It is possibly the best cooked fish I've eaten on Anguilla. These types of places are ones that I wish more people knew about. 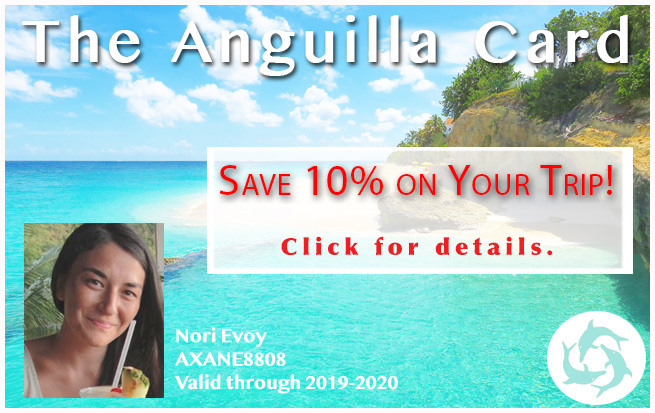 Anguilla can be enjoyed in a very affordable and delicious way! It's not all exclusive and expensive. There is something for everyone here. 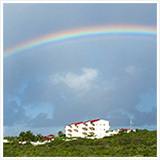 Sammy's brother Dougie runs his Anguilla diving operation, Special 'D' Diving & Charters, from here as well. 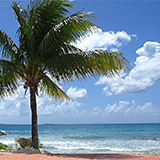 You can read more about Anguilla diving with Dougie here. I could go on about Sammy's... The nice people that hang out there, the sound of dominoes, the local music he plays but I'll stop and move on down the beach. Ripples: Not everything cool about Sandy Ground is right on the beach though. Not far if you head to the southeast from the beach on the road is... ripples. I should add that while, like Pumphouse, it is not directly on the beach but Ripple's is a long-standing Sandy Ground establishment that you can cut over to from the beach. I love that they have a dart board there! 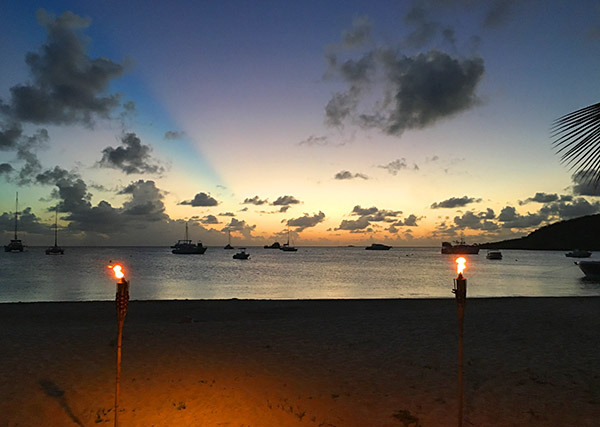 You can read more about Nori's family's Ripple's Anguilla Restaurant experience here! 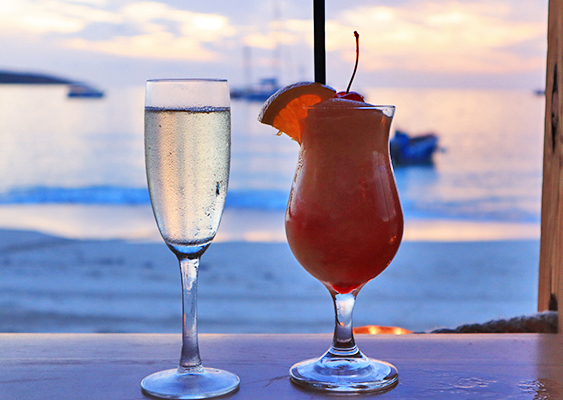 Le Bar: Right next door to the Italian Dolce Vita is another European beach-side eatery, the French, Le Bar. 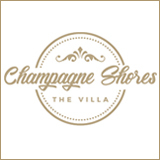 Owned and operated by Didier and Veronique Van, these light-hearted restaurateurs have re-opened their popular beachside restaurant (formerly located on Shoal Bay East). Home to the best burger on the island, a lively Friday mussel night, and a variety of outstanding salads, the French spirit is well and alive at Le Bar. Complete with excellent wines and cocktails and lounge chaises for a post-meal snooze, it's a top pick for lunch. Nori and family first went there on a recommendation from Jacquie at Ripple's and considers it to be flawless. You can read more about her experience at Barrel Stay Anguilla Restaurant here.